When was the last time you looked into a garbage bin on campus? Do you ever wonder where your Starbucks coffee cup ends up after it is taken off campus grounds? Trash is ubiquitous, but not even an afterthought for most of us as we go about our busy days. The staggering truth is that the average college student produces 640 pounds of solid waste each year. Here at IU, we have over 100,000 students and 20,000 faculty and staff members; do the math! Though the numbers are overwhelming, we can diminish our impact through waste prevention via some quick changes to your daily routine. When your $12.99 H&M shirt rips at the sleeves, your first instinct is to toss it in the trash bin and make another trip to the mall. Cheap clothing is anything but, and you can disrupt the cycle by opting to repair damaged items, trading with friends, and upholding thrift stores as primary resources for your fashion needs. This way, you can save money and obtain one-of-a-kind pieces that will make you stand out on Campus! Check out some of Bloomington’s selections, and keep an eye out for community sale and trade events, such as Swap Shop and Hoosier to Hoosier. As a person who peers into landfill and recycling bins more often than is socially acceptable, I can safely say that they overwhelmingly house plastic water bottles and coffee cups. Speaking with many IU students, I’ve found that most are surprised to discover that those ubiquitous Starbucks coffee cups are not recyclable (you can only recycle the plastic lid and cardboard sleeve). 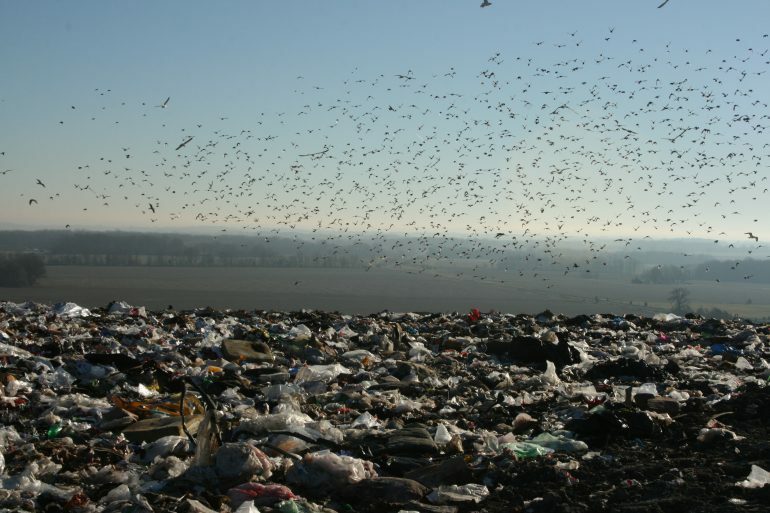 Indeed – they are often clogging up the landfill bins to the brim, or are contaminating the contents of recycling bins. The amount of waste produced by this habit can easily be addressed by bringing your own reusable mug and water bottle on campus. You can also get any sized soda and tea all throughout campus for only 59 cents if you bring your own cup! In today’s environmental and socioeconomic climate, the impact of food consumption and waste is tantamount. You can reduce strain on resources, support Bloomington’s economy, and find healthier options by opting to eat locally. Access to local food is attainable via the weekly Farmer’s Market and on campus via IU’s Hilltop Garden. The Garden offers two workdays a week, where you can volunteer and learn about gardening and sustainable food on campus (you can also take some free produce home!). 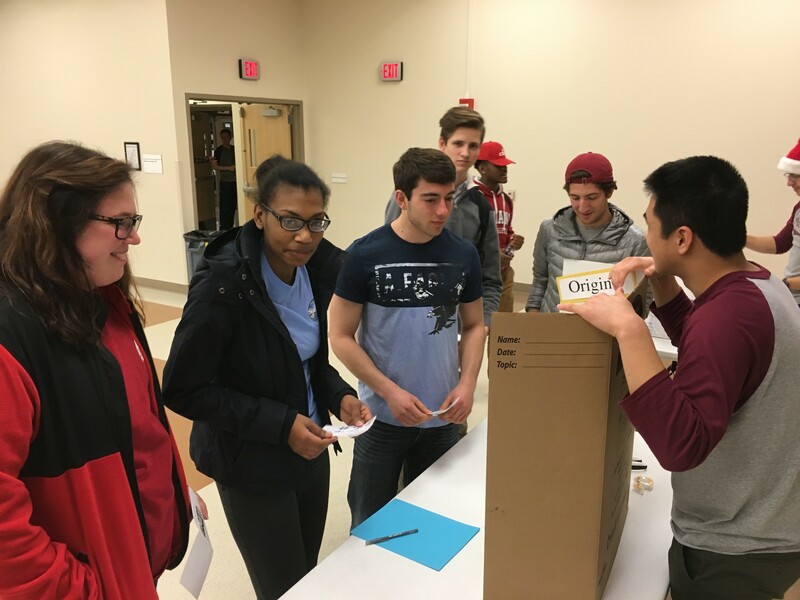 Join the conversation at IU’s Food Summits, a gathering of students, faculty, staff, and community stakeholders discussing sustainable food access on campus. Begin paying attention to your trashiest habits – do you print too much? Opt for double-sided printing, take notes electronically, and ask your professors to collect assignments via e-mail or Canvas. Are you hooked on paper towels and napkins? Opt for reusable dishrags, microfiber towels, and cloth alternatives. Too reliant on your car for transportation? Venture out by foot, bike, and bus. Often times, these small changes will also save you money! Recycle what you are unable to reuse or repurpose. Look out for designated recycling bins throughout campus, both indoors and out, and take a second to find out what IU recycles. The recycling collection system on campus processes over 2 million pounds of material yearly, and from March February 7th – April 2nd, we are competing against schools across the nation in the Recyclemania Competition, where every week all of the trash, recycled material, and compost collected at IU is weighed and compared to those of competing schools. Keep track of IU’s progress, and remember to recycle!